Let's take a look at a tutorial that explains how the JSON/YAML plugin works by generating a simple test plan. The JSON Plugin was deprecated in Apache JMeter™version 4, following the donation of the JSON Assertion component from jmeter-plugins.org to core JMeter. Now, I have updated this plugin to support new features and abilities. In this new version, the two plugin components, the JSON Path Extractor, and the JSON Path Assertion have a new input format — YAML. 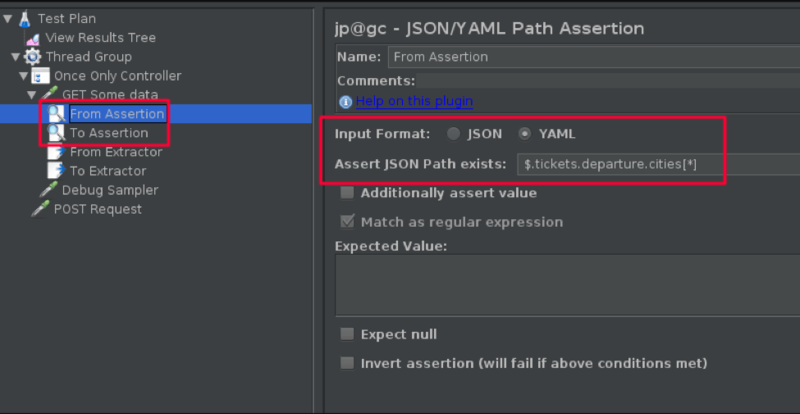 So, users can choose between JSON and YAML input formats when running JMeter load tests. This provides more options and flexibility for performance testers — everything that was done before in JSON can now also be done in YAML. Let's see how the JSON/YAML plugin works by generating a simple test plan. This test plan will take random values from two arrays (lists) in YAML and use them in a POST request as body parameters. The two arrays will be received from another request. 1. Add the JSON/YAML plugin to your JMeter with the JMeter plugins manager. 2. Add a Thread Group to your Test Plan. 3. Add an HTTP Request and configure the URL parameters. 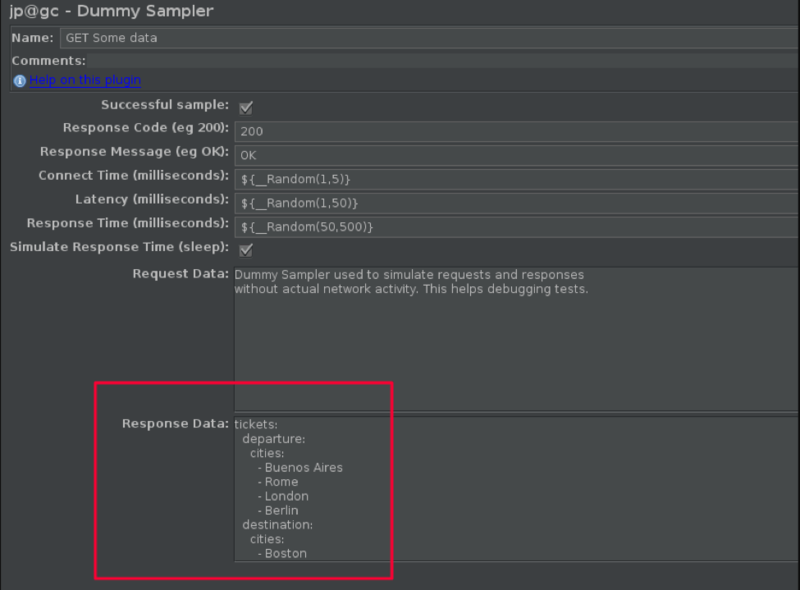 (In my example, I will use a Dummy Sampler because I want to show the response in a YAML format). For this example, my server will return the following response in YAML. 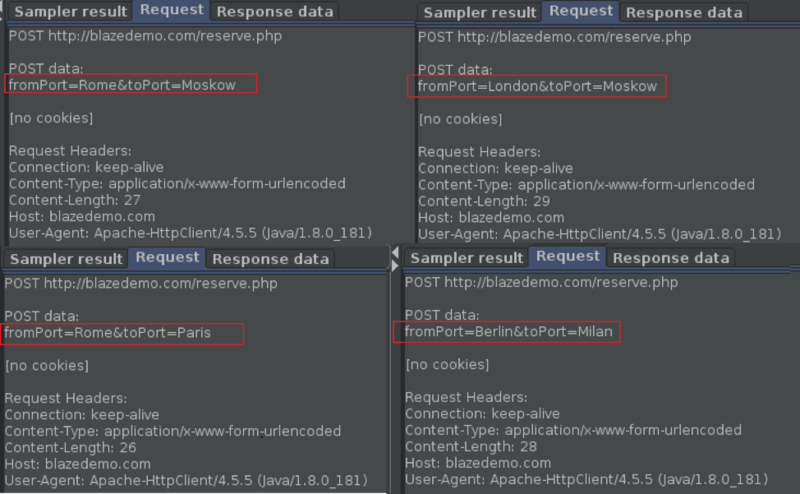 The data from this will be used to simulate the response from submitting a form on the BlazeDemo website. 5. Select the YAML Input Format in the assertion. 7. Select the YAML Input Format in the extractor. 8. Let's look at the extractor's results. We can use the Debug Sampler and the View Results Tree listener. As you can see, the 'from' and 'to' variables show the full array from the YAML file. We also got the variables from_matchNr and to_matchNr that contain the size of each array. Finally, we see the set of variables from_* and to_* that contains each element from the arrays. Now, let's see how we can get a random value from these YAML arrays (in the results) and use it in a POST request as parameters. Use __V function to evaluate nested variable references. That's it! You can now use YAML inputs in JMeter just like with JSON. 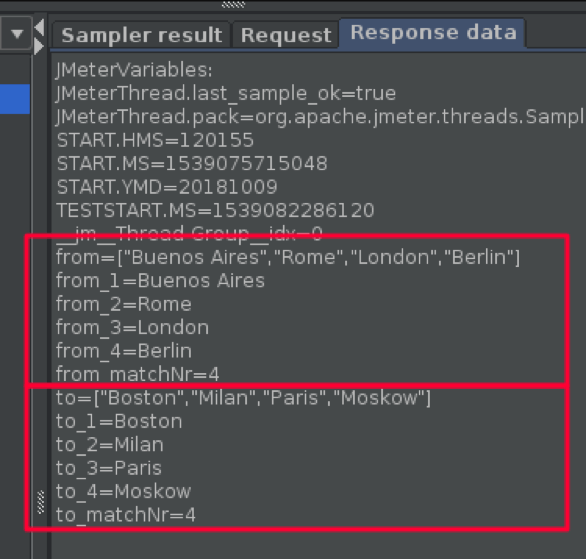 Then, after creating your JMeter script, you can run it in BlazeMeter from multiple geo-locations, integrate with CI tools, and get advanced reports. Start testing now: put your URL in the box below and your test will start in minutes.